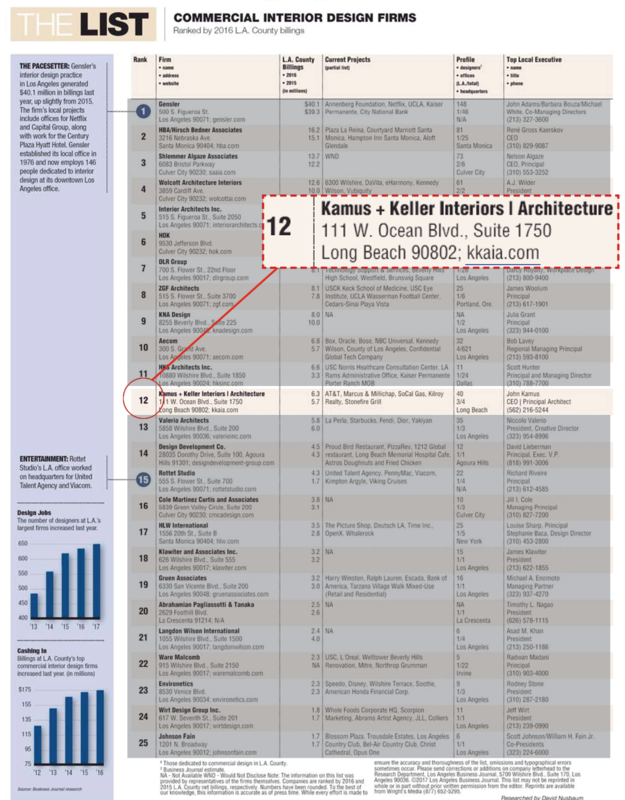 The Los Angeles Business Journal’s esteemed ranking of Commercial Interior Design Firms show Kamus + Keller Interiors | Architecture nearing the prestigious Top Ten. LABJ’s annual list rates LA area CID companies based upon 2015 and 2016 net billings. Coming in at #12, KKIA saw impressive growth of 10% over the prior year. 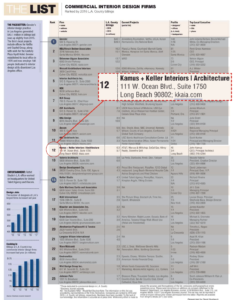 Visit LABJ’s website for the full list and insights into LA’s astonishing commercial development boom.